Willem Janszoon Blaeu. Novus atlas, das ist, Weltbeschreibung: mit schönen newen aussfuhrlichen Land-Taffeln in Kupffer gestochen/und an den Tag gegeben. 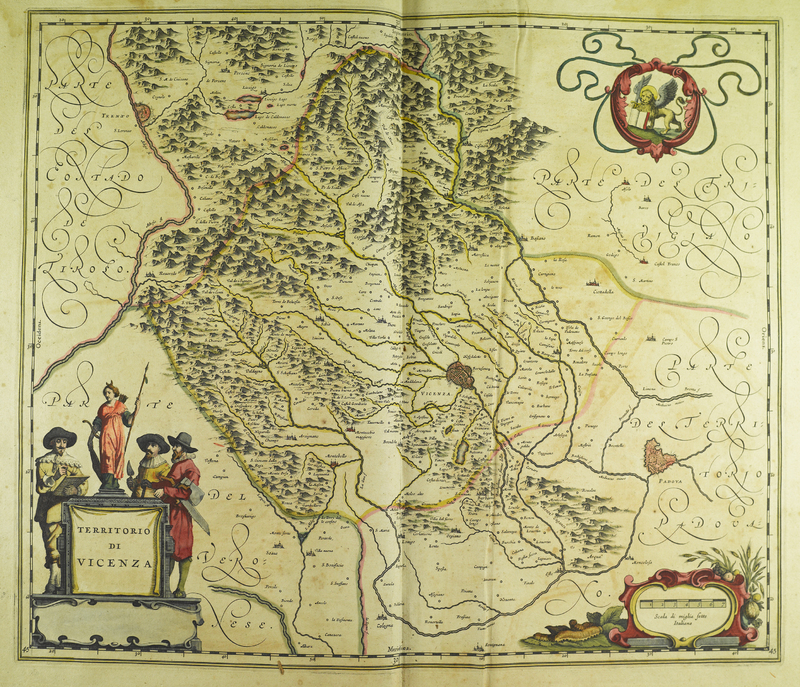 Amsterdam: Apud Iohannem et Cornelium Blaeu, 1641. 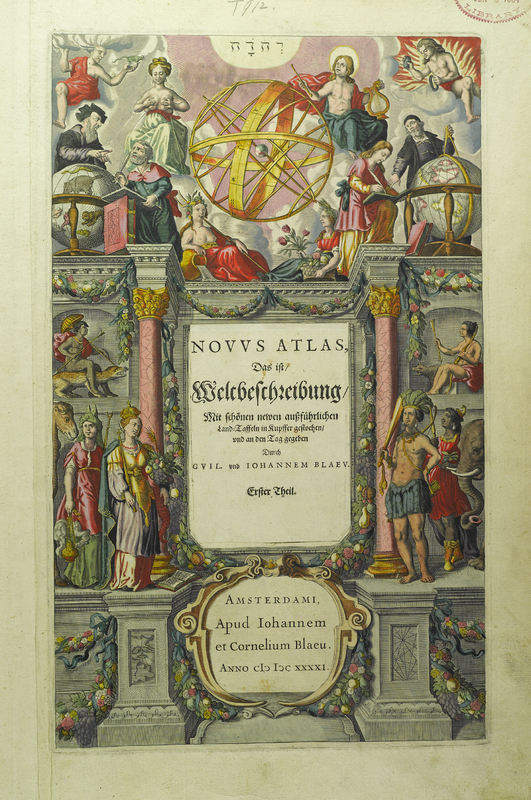 Willem Janszoon Blaeu (1571-1638) was a student of the great Danish astronomer Tycho Brahe and published his first atlas in 1631. He designed his own printing presses and even made the first substantial improvements in the moving parts that had been made since the invention of printing. 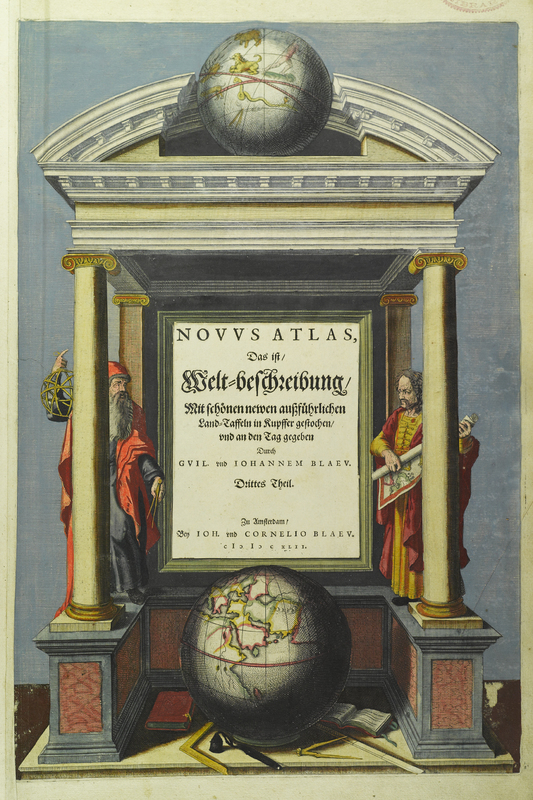 His two sons, John (1596-1673) and Cornelius, continued the work of the Blaeu press and published their great Atlas Major in 1663. The illustration shown in his Novus Atlas (1641-1642) depicts several figures including a clergyman, scholar, musician, explorer and native clothed in their typical attire from the early 17th century.